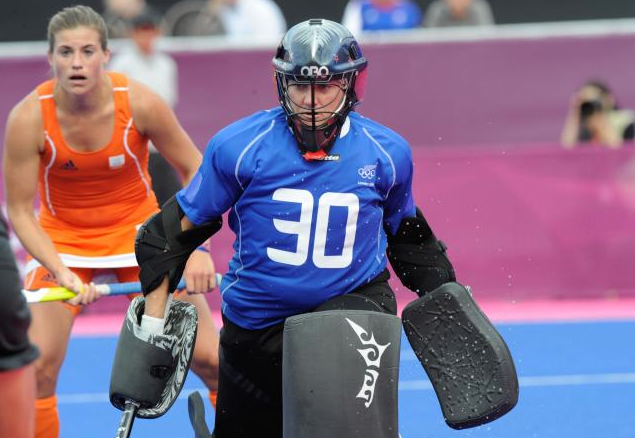 Each and every keeper has different reasons for why they use certain pieces of OBO kit. We thought it would be nice for you guys to see and discuss what New Zealand goalkeeper Bianca Russell uses and why she chooses it. Q: List of Gear you use and why? Everything on top is OBO, everything underneath is Mizuno – why? Because it’s the best. Oh, and believe it or not, I wear a possum fur belt in cooler weather by Nature Support to keep my back toasty and warm, otherwise I’ll get stiff and sore! Carbon helmet – worth the extra weight for the supreme protection. Robo armour – light, good fit, non-restrictive. 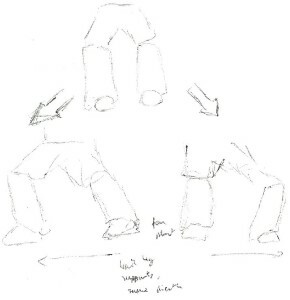 Robo shorts and overshorts – tried and true you won’t get more mobility than this and they are more slimming than clown pants! 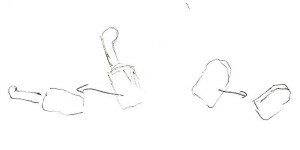 Robo custom logo pads and kickers – I go for hi control kickers for best control, protection and durability. They sit nicely over Mizuno Wave Ascend shoe – I’m often asked what shoe I use and why. This one is actually an off-road runner. 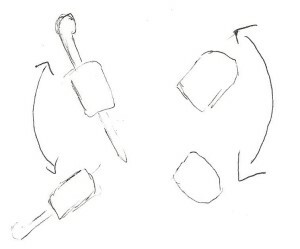 It has a low centre of gravity and multidirectional grip allowing me to take off quickly – no slipping. Stick, I’ve tried a few but gone back to the OBO fat boy, mainly because with the lighter sticks I started ‘waving’ at the ball and on occasion leaked goals against the men strikers purely because they hit the ball so hard, lighter sticks rely on wrist strength to stop the shot whereas heavier sticks all you have to do is get in the path of the ball with the right angle to control the ball nicely over the baseline. The depth of the fat boy also allows for sweep clearances without snagging the turf grain. Under all the OBO kit I’m outfitted by Mizuno and typically use mid-thigh bike shorts, any shirt so long as it’s light and quick-dry fabric but often compression gear in winter or when I’m needing the muscle recovery. Hockeyworld Bibra Lake is now open!! WA now has its very own Hockeyworld store and I have been lucky enough to be given the job of running it. Hockey is huge in WA with both the men’s and women’s Australian team based here and a strong club competition. 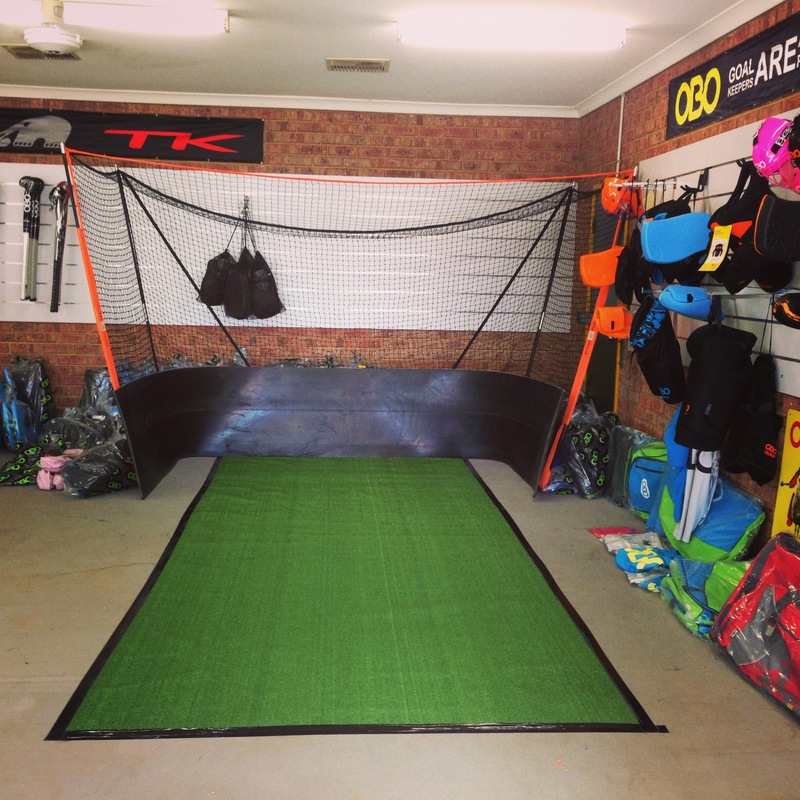 There are a few different hockey stores in Perth but Hockeyworld is the first to exclusively offer the brands TK, Princess, BOP and the biggest range of OBO goalie gear. 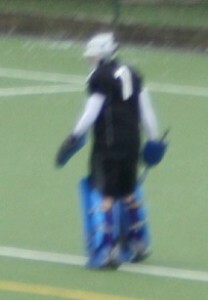 A couple of months ago an opportunity arose for me to take over the set up and management of WA’s very own Hockeyworld. The shop consisted of a concrete floor and brick walls so knowing I had a big job ahead of me I decided to fly my mum over to help me get this off the ground. 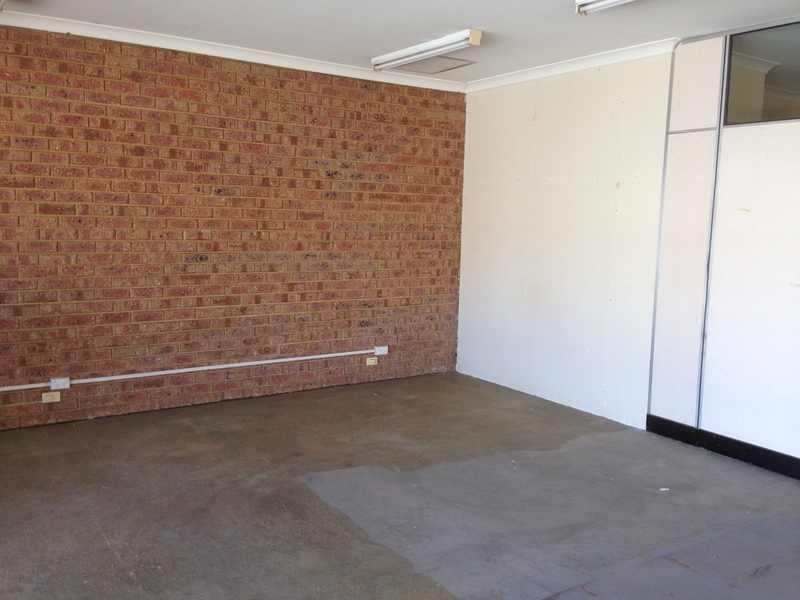 We worked tirelessly for two weeks arranging tradies, setting up phone and eftpos, buying office goods, hanging signs and lifting lots of very heavy items. Now I am no tradesman myself but always happy to give things a go and we learnt very quickly that everything you do yourself saves a lot of money. When packing to move back over to Perth this year my dad decided to put in a full tool kit for me with every size screw and all the items a renovator would ever need. Not knowing that the shop opportunity would come up I hesitantly accepted the gift thinking ‘when will I ever use this stuff given I live in a rental property’. Well, how wrong I was. This simple tool box of gear saved a lot of money and many a trip to Bunnings. The space was previously an Auto shop so the clean up process was very extensive. Mum worked hard mopping, sweeping and dusting while I was off at hockey training. Once we got the slat walls up we were ready for our stock to come in for hanging. Luckily all our gear and brands are very colourful so the decorations took care of themselves. One very important item in a hockey store is the goal. Its very difficult to buy a stick without trying it first so we got some turf in and a portable goal so people can have a hit. I had to get some conveyor belt rubber for the backboard which was kindly donated by SF Gym in Osborne Park. Once all of the stock arrived and was up on the shelves the place really come together. We had our grand opening on March 9th and the numbers that came through were great. My team mate and OBO sponsored keeper Ash Wells came to help and is now permanently working at the store. We sell all the usual hockey items like sticks, shoes, shin guards, bags, clothing, balls, mouth guards and masks but specialise in OBO goalie gear. Myself and Ash have both been keepers for a long time so can help you choose the right gear for your level and also fit it correctly. Obo is by far the best gear on the market and our stick brands TK and Princess are certainly controlling the market in Europe. 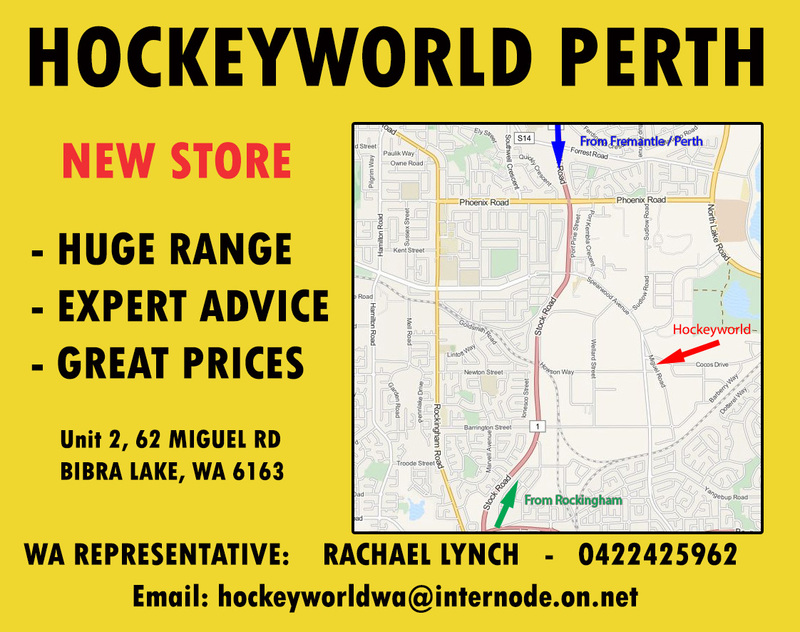 Hockeyworld is located at number 62 Miguel rd Bibra Lake and will mostly be servicing the Hockey clubs down south. 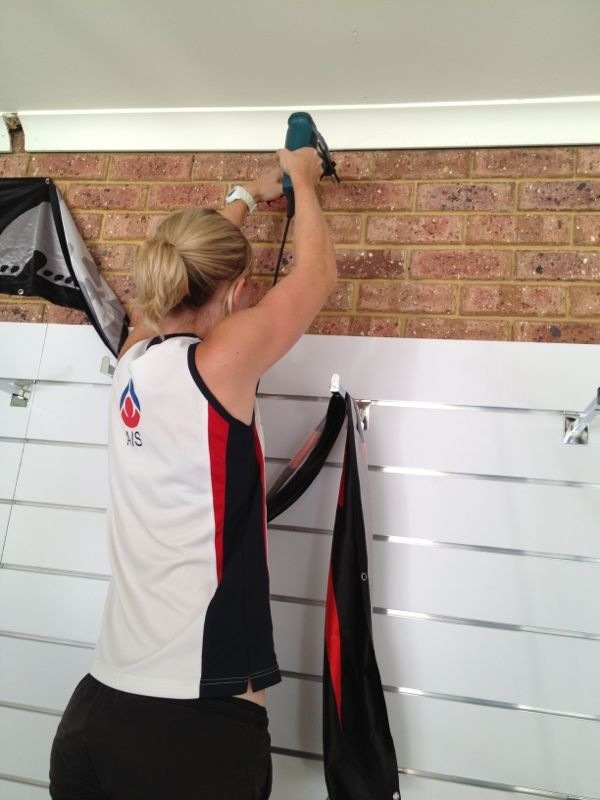 We currently sponsor the Rockingham Redbacks who are a fantastic club not far out of Perth. You can order gear by contacting me directly 0422425962 or hockeyworldwa@internode.on.net and I can have it sent anywhere in Australia. Or pop in and check out our great range for yourself.